Are You Fighting An Uphill Battle With Your Finances? Have you ever noticed that every kid on the playground always wants to go up the slide backwards? I think that is in our human nature to want to go against the grain like that. I think that it adds helps to instill our rebel mentality that helps make us uniquely American even at such a young age. But, are you fighting the same uphill battle against the grain with your finances as well? Many of us are.We are on a cycle of debt, living paycheck to paycheck, and often do not know how to get off the hamster wheel that makes up our lives. It is possible to stop going against the grain. Here are some great action steps to take to take back control. At some point in your life, you have to say enough is enough. There is a time when you hit a brick wall. Many times it is not when you chose to stop adding debt. Sometimes things come crashing down around you. But, the sooner that you realize that you have a problem, things will get better. So, make today the day that you stop adding to your debt. Every family no matter how big or how small needs to be on a written monthly budget. Like Dave Ramsey always says, every dollar that you make needs to have a name. At the beginning of the month, you need to sit down and list out where every single dollar is going. Spend every dollar on paper every month before the month begins. The best way to get into the habit of saving money is to make it automatic. Almost everyone has heard the phrase, “pay yourself first”. You should set up automatic withdraws from either your bank account or directly from your paycheck before it even hits your bank account. 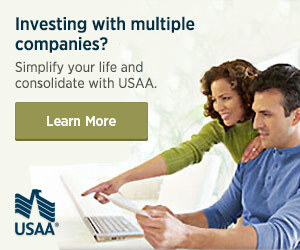 Start small and work your way up to larger deposits every month. This is a great way to start saving for an emergency fund. You can start saving with automatic bank drafts at most banks with deposits as small as $25 per month. Goals are a great way to change the way you handle money. You should consider both short and long term goals. Is there something that you really want to save for instead of adding it to your credit card debt? Save up for it. Set a goal. Write you goals down and look at them every day. Post your goals on the refrigerator where you will see them as you pass by. Goals are a very powerful force in our lives and can be a great action step to begin tackling your finances. Your finances do not have to be an uphill battle. Managing your money does not have to be a constant fight like a child on the playground struggling to get up the slide backwards. You can take control of your finances if you just chose to do so. Start with a few of these action steps to take back control of your money.